Kindergarten Students Proudly Display Homemade Headwear During Annual Spring Hat Parade! 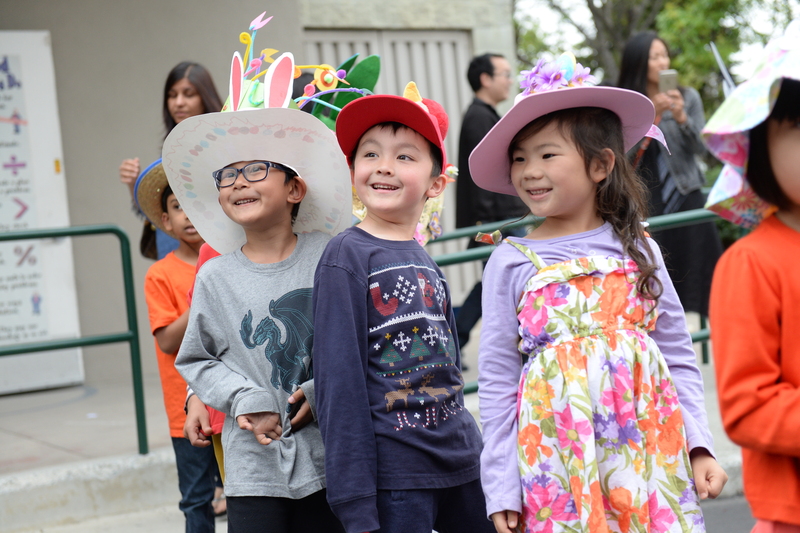 It was all smiles on the afternoon of April 8 as happy kindergartners donned homemade hats during the annual Spring Hat Parade. Gray skies did not deter the youngsters from proudly parading around campus, visiting classrooms and displaying their fabulous creations. Students wound their way through the lower school campus, stopping in various classrooms to model their unique and colorful headwear to the delight of onlookers. After the parade there was an egg hunt on the kindergarten playground, followed by festive homeroom parties. K-3 Students Spend Last Day of School at Farm-Themed Kiddie Carnival!